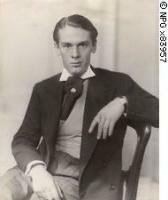 See the gallery for quotes by John Amery. You can to use those 8 images of quotes as a desktop wallpapers. 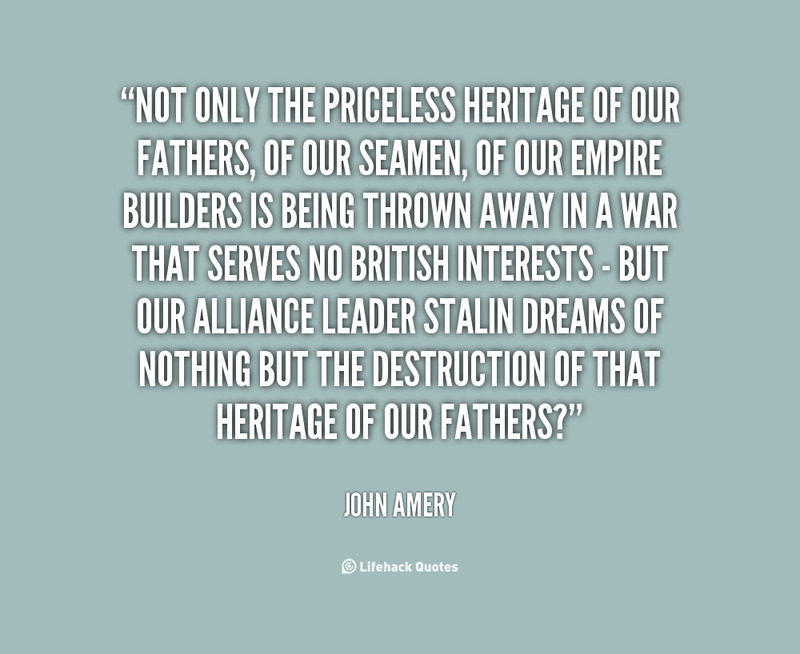 Not only the priceless heritage of our fathers, of our seamen, of our Empire builders is being thrown away in a war that serves no British interests - but our alliance leader Stalin dreams of nothing but the destruction of that heritage of our fathers? Three Royal Air Force aeroplanes have come over to us so far with their arms and equipment. 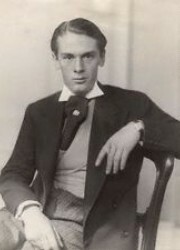 All men will commence in their present rank and promotion will be open to all men alike, without any distinctions or qualifications, political or otherwise. I appeal to all Britishers to answer this call to arms for the defence of all the principles that we Englishmen have been the first to proclaim in the world. 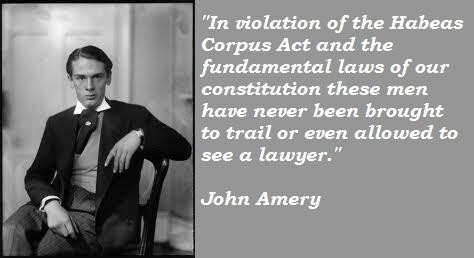 In violation of the Habeas Corpus Act and the fundamental laws of our constitution these men have never been brought to trail or even allowed to see a lawyer. 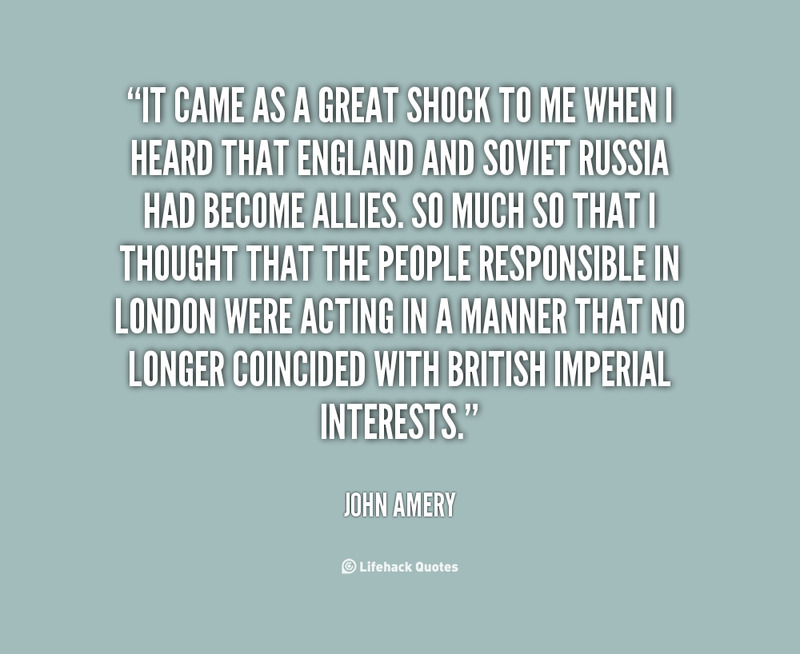 It came as a great shock to me when I heard that England and Soviet Russia had become allies. So much so that I thought that the people responsible in London were acting in a manner that no longer coincided with British imperial interests. It is up to you to decide that this has lasted long enough, that our boys are dying to serve no British interest but for the interests of a small clique of utterly unscrupulous men. That is why I come forward tonight without any political label, without any bias, but just simply as an Englishman to say to you: a crime is being committed against civilization.